The MacLeod Group is a team of experienced wealth management professionals. 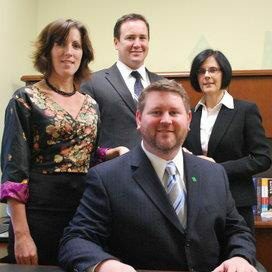 Our team develops and implements customized solutions for business owners, families and individuals, with the objective of protecting and growing wealth over multiple generations.Through our unique and disciplined approach to wealth management, we have been able to help many clients of vastly different circumstances. Our investment strategy focuses on protection of assets and conservative compounding of wealth over time. We use a value approach emphasizing safety, attractive returns, and predictable price appreciation. Specialties:Comprehensive financial life planning; custom portfolio management; chief financial officer (CFO) capabilities for high net worth business owners, families and individuals. The MacLeod Group is a part of TD Wealth Private Investment Advice, a division of TD Waterhouse Canada Inc. which is a subsidiary of The Toronto-Dominion Bank. 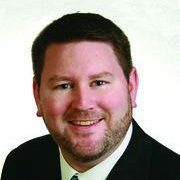 Justin MacLeod leads The MacLeod Group, a team of experienced wealth management professionals. Our team develops and implements customized solutions for business owners, families and individuals, with the objective of protecting and growing wealth over multiple generations. Through our unique and disciplined approach to wealth management, we have been able to help many clients of vastly different circumstances. Our investment strategy focuses on protection of assets and conservative compounding of wealth over time. We use a value approach emphasizing safety, attractive returns, and predictable price appreciation. Specialties: Comprehensive financial life planning; custom portfolio management; chief financial officer (CFO) capabilities for high net worth business owners, families and individuals.